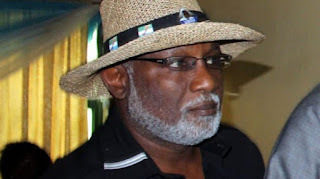 Critical Times News : 2019 Budget: Gov Akeredolu to spend ‘N13m for phone calls’, ‘N500m for hosting guests’ . 2019 Budget: Gov Akeredolu to spend ‘N13m for phone calls’, ‘N500m for hosting guests’ . In a copy of the budget seen by TheCable, N1.066 billion was provided for gift items during festivals and children’s party as well as hosting of state guests during special events in the office of the governor.